CF’s Visual and Performing Arts Department will present a chamber music concert at 3 p.m. Sunday, Dec. 2, at the Appleton Museum of Art. The annual fall concert features CF’s chamber groups including the Saxophone Ensemble, led by Gregory Snider, and the Trumpet Ensemble, led by Andrew Moore. 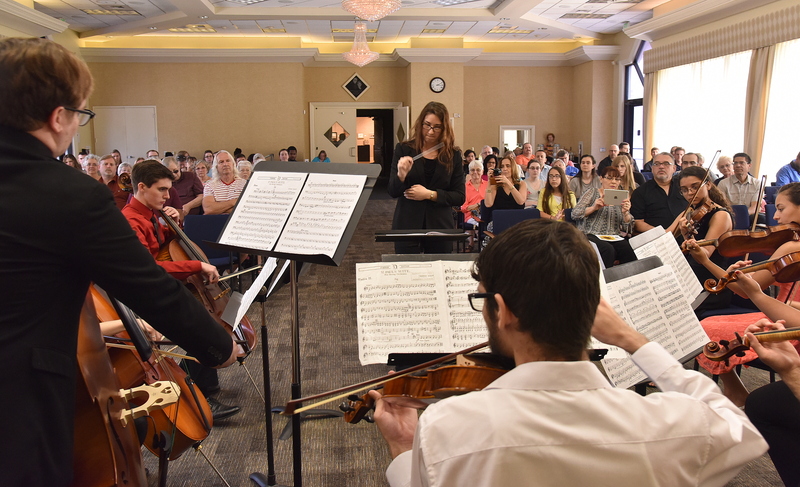 “The concert offers audiences a mix of CF ensembles and instruments in the intimacy of the auditorium at the Appleton Museum of Art. Come out to enjoy the music!” said Dr. Sarah Satterfield, a professor of music. Admission to the concert is free with admission to the Appleton Museum. For information, contact the CF Box Office at 352-873-5810 or visit from 1-4 p.m. Monday through Friday.